Levi’s has a knack for changing with the times. Founded in 1873 when San Francisco-based wholesale merchant Levi Strauss patented a way to strengthen denim trousers using copper rivets, the company boomed into a global marketing powerhouse, spurred by popularity with rock stars and the everyman alike. After a (swiftly overcome) dip in popularity in the Noughties, the all-American denim titan is going from strength to strength. 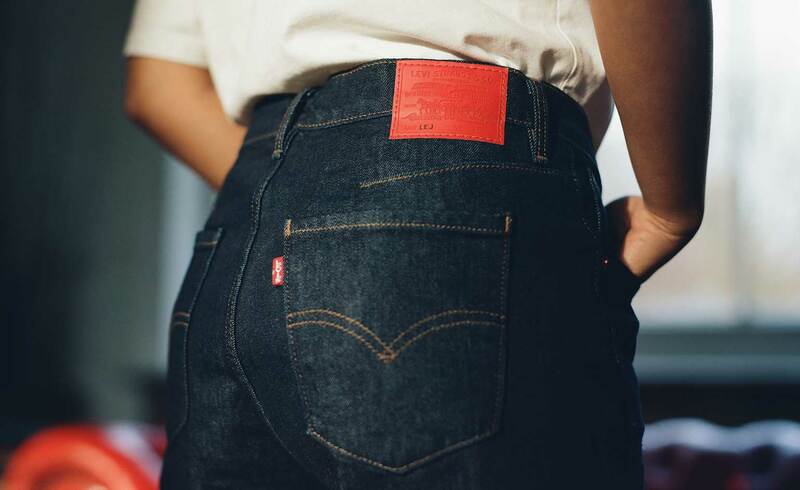 Levi’s staying power comes from a slick production model: yesterday’s design to inspire tomorrow’s. It closely heeds its heritage, without allowing it become a change-preventing millstone. We see this storyline play out in the new launch for S/S 2019 – a special edition re-issue of the 1990s-tastic Levi’s Engineered Jeans, which have been given a fresh emphasis on technological research and contemporary cuts by Levi’s head of design Jonathan Cheung, who is fast becoming denim’s leading man. Cheung – who cut his teeth in Milan at Franco Moschino and Giorgio Armani, finding time to launch Iceberg’s denim line inbetween – has introduced a level of material innovation previously unseen at the label. In the new re-engineered jeans, famously comfortable four-way-stretch has been added, along with contemporary fits (including a slouchy taper for women, and a slim taper for men). Bleeding-edge 3D knit technology – which Cheung touts as the future of the brand, thanks to its environmentally friendly, reduced waste qualities – completes the materially ambitious finish. The jeans’ development mirrors that of the brands’, which has powered through its most tumultuous period over the last 20 years. ‘Levi’s had enormous success and cultural relevance in the late 1980s and 90s; particularly in the UK and Europe, where Levi’s and music went hand in hand. The track picked for a Levi’s commercial would directly influence the charts at the time,’ Cheung explains. ‘In the last few years, the company has undergone a great resurgence, both from a business perspective and, most importantly, a stylistic one.’ To match, rough and ready styling from yesteryear has been refined to match a more technical finish favoured by Levi’s new and expanding audience. ‘We’re not necessarily trying to appeal to the original Engineered Jeans customer with this new launch; but to reflect then desires of the modern-day Levi’s wearer as well,’ he continues. That person is young, culturally engaged and globally minded, and would have been a toddler at the time of the original Engineered jeans launch in 1999. ‘Sneakerheads’, Cheung calls them.